Alderman Scott Ogilvie, D-24th Ward, speaks on Friday about his bill to cap campaign contribtions for city-based elections. Original story: Alderman Scott Ogilvie first proposed curbing donations in 2013. That bill ended up stalling in committee. But Ogilvie, D-24th Ward, said there’s a bit more urgency to act because a proposed constitutional amendment could limit state-based contributions. If Missourians approve that measure in November, donors could still provide unlimited amounts of money for candidates in county and municipal contests. 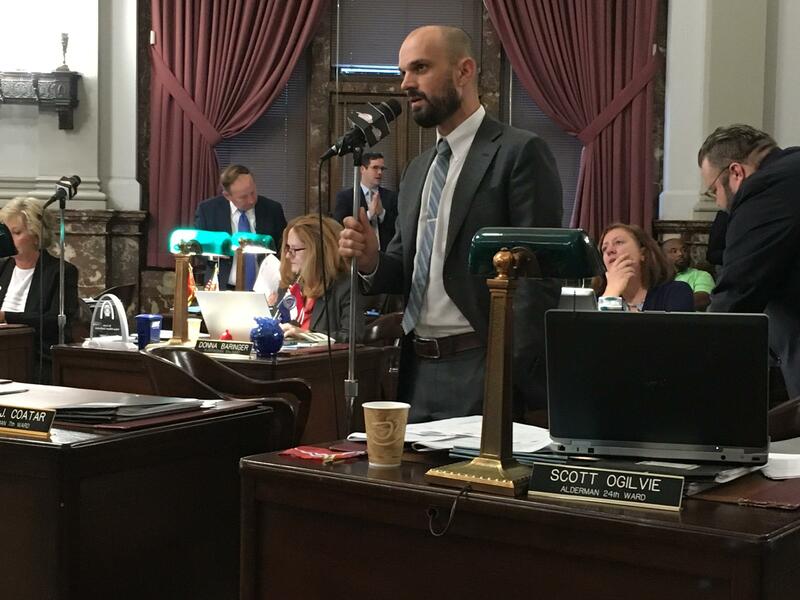 While Ogilvie’s bill received an affirmative voice vote, some aldermen expressed skepticism about whether the measure would be effective at keeping money out of city politics. Some city lawmakers, like Alderman Stephen Conway, D-8th Ward, questioned whether the $10,000 was too high. He said he recalls very few instances where aldermanic candidates received five-figure donations. Others wondered if the $10,000 could be easily circumvented with political action committees, which aren’t constricted in Ogilvie’s legislation. For his part, Ogilvie said the $10,000 limit is a high threshold. He said he’s hoping to revisit the limits if voters approve (and courts uphold) the donation limit amendment. 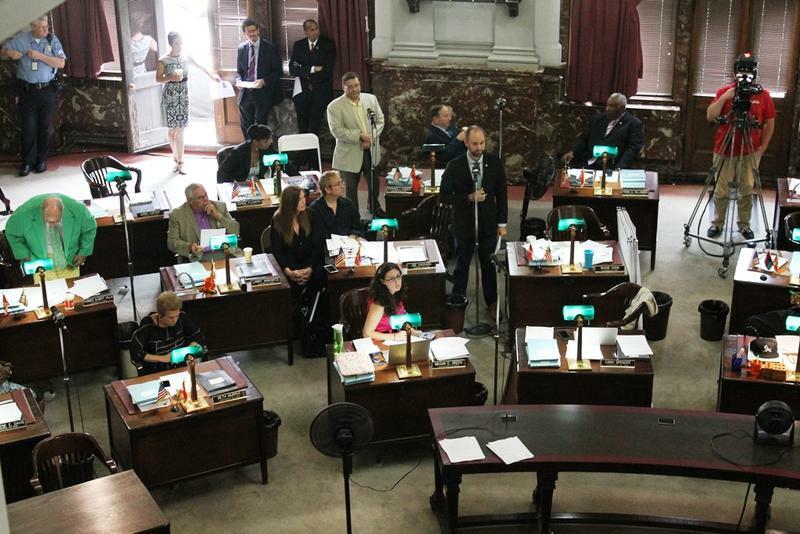 A commission that would accept ethics complaints against elected officials in the city of St. Louis could have its duties expanded. The commission is part of Alderman Scott Ogilvie's, D-24th Ward, measure capping campaign contributions $10,000 for both citywide and aldermanic races. As the bill is currently written, members of the panel would investigate complaints about financial disclosure or conflicts of interest. 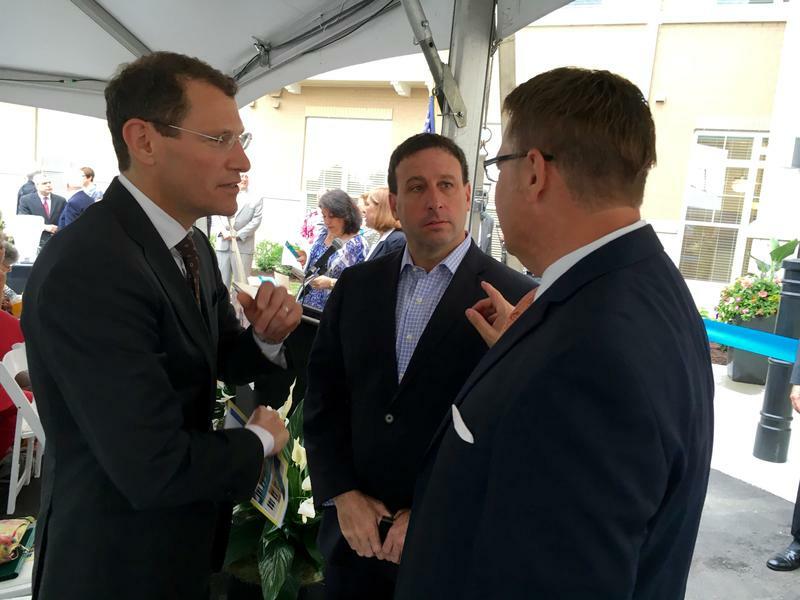 St. Louis County Executive Steve Stenger is throwing cold water on a proposal to build a North-South line for MetroLink. Stenger's opposition isn’t going over well with some St. Louis officials, many of whom support the project as a way to spur economic development and bridge the region’s racial divide. A three-year effort to limit the amount of money flowing into city elections took a small step forward at the St. Louis Board of Aldermen on Tuesday. The city's Legislation committee, on a 9-0 vote, approved Alderman Scott Ogilvie's, D-24th Ward, measure capping contributions at $10,000 to each candidate every four years. A similar bill Ogilvie introduced in 2013 never received a vote.